When I first learned about seller financing, the idea of “becoming the bank” didn't sound appealing to me AT ALL. In my mind, I just wanted to be cashed out as soon as possible so I could take my cash and move on with my life. But once I realized the truckload of extra money I could make as a result of financing my properties; I decided to try my hand at it. After selling one property with owner financing, and then another, and another – I realized how nice it was to have money deposited in my bank account every month, like clockwork, whether or not I continued to sell any more properties. 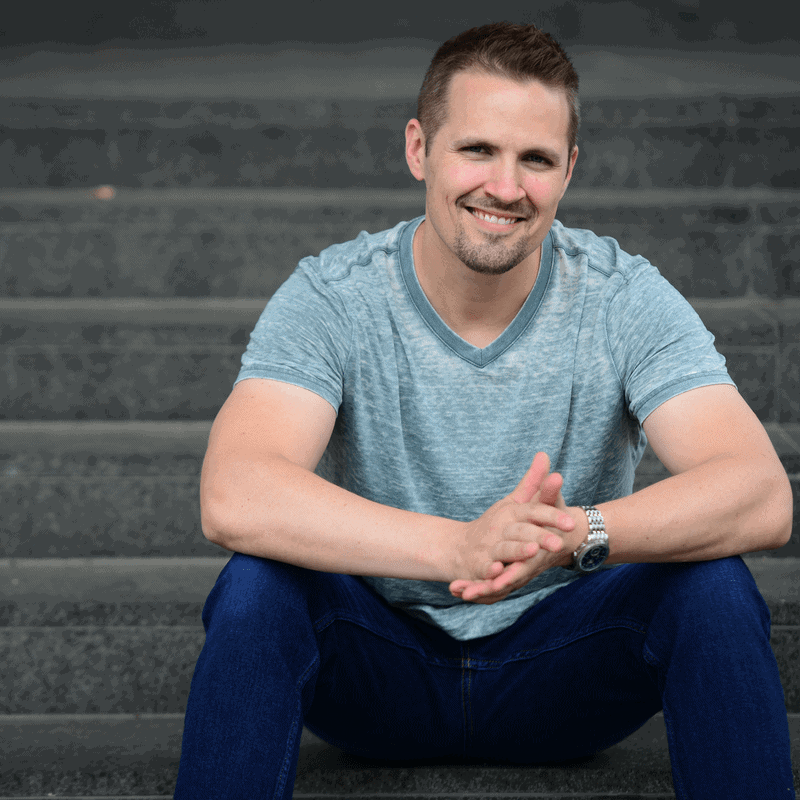 Eventually, I found that it was adding a lot of stability and predictability to my revenue… and for that, I loved it. Before long, I was utilizing owner financing whenever I possibly could, and it quickly became my preferred way to sell real estate. Why? Because whenever I offered this kind of financing for my buyers, I was creating a money machine that would continue to pay me years into the future. Seller financing opened the doors of opportunity for a lot of my buyers, and it allowed me to work with MANY more potential buyers. The truth is, a lot of would-be buyers won’t even consider buying real estate simply because they don’t have access to the cash they need to purchase it. When I started offering seller financing for these people, I was solving this problem right out of the gate, because I gave them the financial leverage they needed in order to do business. The more flexible I was willing to be in when/how I received payment for my properties, the faster I was able to get my properties sold – plain and simple. Before I started offering seller financing (when I was only willing to get cashed out in one lump sum), I found myself sitting with unsold inventory a lot longer than I needed to. One of the huge advantages of financing my properties was that I could almost always ask for a significantly higher price on the property and people were happy to pay it. In most cases, I could even charge a higher-than-market interest rate and most buyers didn't even care! I was able to get away with this because in my buyer's mind, their primary concern was whether or not they could afford to make the monthly payment. In most cases, when I advertise my properties with seller financing, I don’t even talk about the specific terms of the loan (interest rate, payment period, etc.). Of course, this information has to be included in my closing documents (I'm not hiding anything from anybody), but when it comes to marketing a property – most people will only get confused by the intricate details of the transaction (and a confused mind says “No”). When people see a monthly payment, they have a pretty good idea whether or not it will fit into their budget – and at the end of the day, this is all that matters to most people. The nice thing about this is, if my goal is simply to make the monthly payment affordable, there is almost always a way to make the payments work within a person's budget. Remember, I am the bank. I can stretch out the term of the amortization (i.e. – The amount number of months it will take them to pay me back) as long as I'm willing to allow. I can also adjust the numbers by giving them a lower interest rate. Likewise, I can require a larger down payment up front (which will reduce the amount of the loan and thereby, reduce the monthly payment), or I can just lower the price of the property altogether. At the end of the day, whatever it takes for me to sell a property and make money (creating a win-win for both parties involved), I do it! One of my goals with this strategy is to build up SEVERAL streams of income, and this only happens by selling SEVERAL properties with seller financing, in a way that will earn me a profit. When I'm acting as the lender, I can generally do whatever I want (within the confines of the law, of course) to maximize my income over the long-term. Note: Most states have some specific rules regarding the maximum interest rate you can charge your borrowers and the number of seller-financed deals you can maintain at one time – so be sure to check with a local attorney before you proceed. 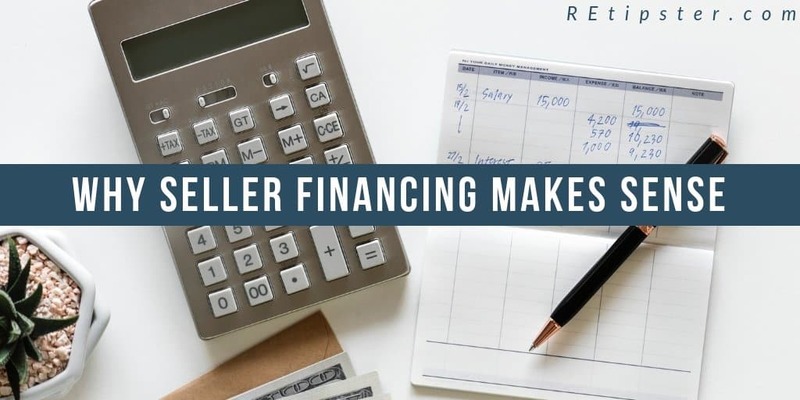 In addition to getting a higher price on a property, seller financing also gives me the opportunity to pick up some extra income along the way by charging interest, servicing fees and closing fees. Historically speaking, we're living in a time when mortgage rates are about as low as they've ever been. To put it frankly, money is cheap. …but guess what – even with how low mortgage rates are right now, the standard interest rate I charge on my seller financed deals is 9.99% interest – and people are happy to pay it! Why? Because if I don’t finance the property for them – they can’t buy the property, period. Remember, for a lot of buyers, the interest rate is irrelevant IF they can afford the monthly payment. It’s all about making the property affordable for the borrower with a down payment and monthly payment they can live with. With all the prospective buyers I've talked to over the years, I've found that different things matter to different people. Some buyers want a lower price. Some buyers prefer a lower payment. Some buyers are attracted to the idea of paying 0% interest. Whatever my buyer happens to care about the most (whatever the sticking point is), I can usually do whatever they want. The ultimate goal is for me to make a monthly profit on each sale, so if I can meet their needs AND accomplish my objective, I'll do it! Generally speaking, as long as my buyer is getting a great value for their money, they’re happy to work with me. A lot of people are huge fans of seller financed property – so don’t underestimate the power of simply offering this as an option in your property listings. The funny thing is, whenever I offer seller financing in my property listings, almost everybody chooses to take the financing option and NOT pay all cash (even when there is a financial incentive for paying cash). That's right! Even when people have the cash available, many of them would rather make long-term monthly payments and instead of losing all their cash by paying the full purchase price upfront. It may sound weird if you're someone (like me) who doesn't like debt, but you might be surprised at how common this is. Monthly servicing fees are another way to tack on some extra monthly income from seller financed properties. I always charge a monthly servicing fee of $15 – $25 (this is on top of the borrower’s monthly principal & interest payments to me). On my first few seller financed deals, I tried to get my feet wet by servicing my own loans in-house. I had a banking background and I understood how to do it, so the job was doable, but even so – I learned that I just didn't enjoy spending my time doing busy work. Servicing a loan isn't terribly difficult, but it does need to be done right, and it takes a lot of left-brain thinking to do the job well. As a result, I eventually decided to outsource my entire loan portfolio to a loan servicing company, and let me tell you… it has saved me a TON of time and mental energy. If I could do it all over again, I probably would have started sending this work to them from day one. Coincidentally, my loan servicing company charges a monthly fee of $15 – $25 for this service, so rather than me taking the hit for this cost myself, I just pass it along to the borrower and make them pay for it. Remember, if it works within their budget (if their monthly payment is still affordable), why wouldn't I let them pay for it? As long as I clearly disclose this information in the closing documents, I can't think of a compelling reason not to handle it this way. Even if I did decide to service these loans myself, I would still be charging some kind of servicing fee to pay myself for the time and trouble. As long as I have money owed to me, the job will always be there, so it only makes sense to make sure I'm compensated for doing this extra work. Whenever I close a loan, it's VERY important that I use the right documentation. Whether I'm closing a deal in-house (preparing all the documents myself) or using a title company/real estate attorney, somebody has to put the paperwork together. Regardless of who handles this job, I always charge a minimum of $199 as a closing fee (and sometimes more, if the deal is large enough) and guess what… the buyer pays for it. Even if I’m working on a cash sale (no seller financing involved), I still charge this fee – because the work is always required to get the deal done. Similar to the issue of loan servicing, the paperwork isn't going to take care of itself, so it's important to account for this cost and pay the appropriate person for doing this extra work (even if it means paying myself). All of these costs are very typical in any type of loan arrangement. I guarantee you a bank would be charging these kinds of fees all day long for a conventional loan, so I always take advantage of my ability to charge fees upfront, charge servicing fees each month, and charge the highest interest rate I can get away with (and I don’t feel guilty about it). If people don’t want to do business under my terms, they're welcome to look elsewhere! When I'm acting as the lender, I can be as flexible (or inflexible) as I want, because I am the bank and I can clearly define the terms under which I'm willing to do business. One of my greatest advantages here is my ability to play the game on my terms. Of all the things I love about seller financing, this might be my favorite. When I finance the sale of a property – it becomes similar in nature to a rental property. It produces a steady stream of income, but without all of the problems and headaches that come with owning a rental property. Once the deal is closed, my borrower essentially owns the property. Sure, I may still hold the deed (in the cases where I'm using a Land Contract), but as long as they keep making their payments to me, the property legally belongs to them. In most standard loan documents, the loan agreements are written in such a way that if anything breaks, if anything needs to be fixed or if anything goes wrong with the property itself, it’s the borrower’s problem. In the same way, I wouldn't expect my banker to come and fix my toilet after I buy a house – the borrower shouldn't expect me to come and take care of their property either. It's their property, and the problems are theirs to deal with. Of course, a seller financed property is a stream of income that won’t last forever (because the borrower will eventually pay off the loan), but believe me – it’s great while it lasts (and it usually lasts for a long time). When I finance the sale of my properties, I don’t lose a wink of sleep at night, because once the deal is done; all the maintenance and upkeep issues are in the borrower’s lap, not mine. As soon as I had built up enough cash reserves to run my business efficiently, I started financing my properties as soon as possible. Why? Because I desperately wanted more stability and peace of mind in my business, and the regular cash flow that came from my seller financed deals played a big role in bringing this to the table. I know some real estate investors who make over six figures per month just from the ongoing payments from seller financed properties (that’s right, I said PER MONTH). The beautiful thing about the properties I finance is that in most cases, I only paid 10% – 20% of the property’s market value when I bought it. Think about it, if you buy a property for $5,000 and sell it with seller financing for $50,000 – you can make your entire initial investment back with just the down payment! Once the loan is in place, every single monthly payment for the next five years is pure profit. How’s THAT for a return on investment?? When a borrower wants to pay off their loan early – some lenders will require that the borrower pay a prepayment penalty in the process. Why? Because the borrower is killing off a stream of income (with interest) that the lender was counting on. A lender can't disallow this from happening, but one way to discourage these kinds of early payoffs is to charge a prepayment penalty for doing this. It will also serve to compensate the lender for the unexpected loss of income. Personally, I've never bothered with charging prepayment penalties like this (because I'm already making a huge profit on the regular sale price of the property), but I certainly understand why some lenders require this. If you’re working with an attorney to prepare your loan documents (which you should probably do, especially if you’re adding this extra feature to your loan documents), ask their opinion on this – they may have some good ideas for you as well. Obviously, nobody wants to deal with a deadbeat borrower who defaults on their loan. I’ll be the first to tell you – it’s annoying, and depending on what shape they leave the property in, it could be costly. That being said, there are also a number of reasons why this risk is still worth taking, even when considering the worst case scenario. Given how little I typically pay for the properties I purchase, it usually isn't difficult to recoup 100% of my initial investment just by collecting a 10% – 20% down payment. Even if I only collect a 5% down payment (which by the way, would be very generous of me), I can usually recoup the remainder of my initial investment in the first few months. Essentially, the risk in this area is usually very low. What I’m getting at here is – if I did my groundwork right when I purchased the property (i.e. – buying for the right price), I'm not going to end up in the hole – not by a long shot. Now, on the other hand, if I borrow $100,000 to buy a property, and the property is only worth $125,000 – this would obviously be a different story, but as I indicated earlier, the ideal time to use seller financing is when I own a property free and clear. When I've paid a very low price to acquire a property in the first place, losing money not something I have to be overly concerned with. Think about it this way – I own a long-term, tangible asset. I own it without any debt or monthly payments whatsoever. If my borrower decides to quit making payments tomorrow, this could be a blessing in disguise. It just means I can repossess the property (which is probably the only real “hassle” of the process), re-list it, and resell it! I get to keep all the payments from this delinquent borrower and then start the process all over again. Some of the most profitable deals are the ones I get to repossess and resell. Now, if my property is a residential home or a commercial building, then yes – there could certainly be some damage or cleanup to handle before I can re-list it for sale (this should always be expected in a foreclosure situation). Even so, the cost of rehab is almost always worth the extra time and effort, because I stand to make even more money when I resell the property. This isn't always the case, but most of the time – it is. When I first started selling properties with seller financing, I didn't do any credit checks whatsoever. I frankly didn't care who my borrowers were because I knew that if they ever defaulted, I stood to make even more money in the long run. While this never ultimately hurt me, I eventually decided to change this practice after dealing with a few borrowers who defaulted on their loan payments to me (yes, if you do enough of these deals, it will eventually happen). Even though I've always been pretty well protected (given the value of my collateral), it’s still annoying to deal with a deadbeat borrower. It took time, some money, and it was generally a headache. Even though I stood to make even more money from a repossessed property, I was more comfortable just knowing what my future was going to look like, rather than having to deal with an unexpected change of plans. With this in mind, I eventually decided to start pulling credit reports. The cost is nominal, and it gives me an idea of what kind of person I’m dealing with. Does this person have any other delinquencies in their life right now? If so, what are they and why? Why should I feel comfortable being their lender? If they can’t even give me a compelling story or excuse for missing other payments, why should I stick my neck out for them? I typically don’t disqualify people right off the bat for having an imperfect credit score, but I do expect a good explanation as to why I should trust that they’ll be faithful in making their payments to me. If I go into this kind of relationship blind, I'm just leaving the door open for trouble – plain and simple. While this doesn't necessarily spell “disaster” in every situation, it can cause a lot of unexpected (and unwanted) surprises. Again, if I bought my property at the right price to begin with, it’s hard to lose. Even so, I’m the type who likes to be fully informed on any business relationship I’m getting into. As such, I like to inquire about this basic information. As you can see, there are a lot of reasons why seller financing makes sense. In my opinion, anything that allows me to extract a lot more profit AND passive income from a property is worth taking a close look at. While it does involve some extra steps, I've found that in many cases, it's worth the trouble. If you haven't considered this approach before, it might be time to give it some serious thought. What Is ZimpleMoney And How Does It Work? Awesome article! Im only a few properties in to my real estate investing career but certainly want to get involved in seller financing. So if I’m hearing things right, really the only way to implement seller financing is if you own it free and clear, correct? For example, you have a property worth 80K but you have a 40K mortgage on it, you couldnt really offer seller financing unless the down payment you collected from your buyer was enough to pay off the 40K loan you owe? Just trying to wrap my head fully around this. Thanks again! Thanks Jay! You don’t necessarily have to own them free and clear, but in most cases – banks will prohibit you from selling your property with owner financing while you still owe them money (this provision is baked into the loan documents of many conventional lenders). For this reason, I usually only employ seller financing when I own a property free and clear. Luckily, when you’re buying your properties from motivated sellers, this isn’t as difficult to do as you might think. To answer the other part of your question – yes, if you did have a mortgage, you could get around this obstacle by collecting enough of a down payment from your buyer to take out your existing financing (assuming your buyer has enough cash to do this). Hi Rod, all great questions. The foreclosure process (what you can and can’t do) has a lot to do with what documentation you used in your closing AND what the specific state laws will allow you to do. Some states make it pretty easy, other states make it very difficult and complicated. As for the servicing fees, this is something you’ll want to establish in your closing documents (so the borrower is fully aware of what they’ll have to pay for the life of the loan). As for insurance and taxes, I usually escrow these – where the borrower pays me an extra amount each month and then I take care of paying the bills (this way, I can make sure it’s actually happening). Do you need to have a separate account to escrow the taxes, insurance, HOA fees, etc… or can you just use you regular account? It probably makes sense to have a designated account for this, but I would think the more important aspect is that you’re actually accounting for it correctly (so you’re not losing track of how much has accumulated on behalf of each borrower). And keep in mind, you don’t necessarily NEED To go the escrow route. If the borrower is responsible enough, you could just make these costs their responsibility until the loan is paid off. The right setup can vary from deal to deal. Good comprehensive post on Seller Financing. I just posted about my recent sale where I financed one of my rentals to my tenants. Good win-win for both parties. This is certainly in my long-term exit strategy. That’s awesome – thanks Chuck! In my experience, Seller Financing has been an incredibly powerful tool that can really make a ton of sense for both parties involved (and everyone comes out better in the end). Thanks for sharing! Lastly, do you have a pre-drafted contract (obviously favorable terms for the seller) from your attorney that you use or do you have a custom agreement per deal? Hi Mike – great questions! a. I already own the property free and clear, so I have no significant obligations to pay for in the meantime. b. By charging interest, I can make FAR more money on the property over the course of several years. c. Each property I sell with seller financing becomes a little stream of income (rather than one, lump sum payoff). This can add a lot of financial stability to my business (because this is a dependable source of income that will continue to come in for several years, regardless of whether I do any additional work). a. It doesn’t tie up all of their cash (they can use their money to do other things). b. Often times, the buyer doesn’t have each cash to buy it outright, so they literally NEED a loan if they’re going to buy it from me. c. It’s similar to car payments – people will spend a lot more money IF they can fit it into their monthly budget. $500 per month sounds a lot more feasible for most people than $40,000 cash. Depending on the property, I may do a survey, perc test, and get a feel for the lay of the land. I will always do a title search (at the very least), if not a full blown title insurance policy. I do have a pre-drafted contract that’s intended for the State of Michigan. Depending which state you’re working in, you can probably find what you’re looking for right here. Considering owner financing when buying a restaurant. What I fail to understand is why will the seller let me use the business to make money and pay him from the profit of the business. The restaurant generates money every month and the seller made it clear that I can’t use this money to pay him because the restaurant is still his. Hmmm… I’ve never seen that kind of arrangement before. Usually the borrower can use income from the asset to make the payments on the loan, so if you’re not allowed to do this – I’m not sure how else the seller would expect you to come up with the cash (unless you have some independent source of income that could handle the payments). You might want to go back to the negotiating table on that one. Hey Seth, If you sell a house using seller financing, do you use the same one page contract that you use for wholesaling, or is it a different contract? Or does Del Toro do the whole thing from beginning to end? I use a different contract (an actual “land contract” rather than a purchase agreement). Del Toro does some of it, but you need to at least have the right contract and deed forms filled out correctly (they’ll ask for this before they start servicing your loan – to make sure you’ve done everything correctly on your end). Good question! I have a basic realter contract where can i get a deed form? Hey one more question about the loan services co. Do they escrow the taxes and insurance for you? I believe they can (though it would probably cost you a higher monthly servicing fee). Just ask them and they can verify for you. Seth, on seller financing. After selling the house using seller financing, have you ever sold the note? If so, is there someone you use to help sell the note on the open market? Hi Trevor. I’ve never sold any of my land contracts before, but I know there are a lot of companies out there that “buy paper” like this as an investment. It’s not a bad strategy… just not one that I have a lot of experience with (because I always wanted the income – I didn’t necessarily want to cash out). Got a question about the loan servicing company you mentioned. Do they do the loan originating, so that you are dodd frank compliant? If not, who do you use? Hi Trevor – no, you’ll have to prepare the closing documents yourself (and/or hire an attorney to do it for you). You’ll have to give them signed copies of everything once they’re executed. Hi Seth, thank you for your interesting blog. I work in investment field, but I don’t have direct exposure to real estate investment. I am interested in doing some real estate investment on my spare time. I have a quick question about the video you posted about AgentPro. Do you find it more useful to search for properties in counties/states that you are familiar with. Or do you search for properties everywhere in the U.S? Maybe your answer is somewhere in other posts already. I will keep going through your blog while waiting for your reply. Hi Tuan, I’ve actually used AgentPro247 for both. It’s a great way to easily tap into some markets that aren’t so close to home (because it makes the process very streamlined, predictable and easy-to-use). Curious about tax implications on seller financing. If I buy something for 5K, sell for 15K you need to pay 10K in taxes. If I do seller financing I might not have enough cash to pay the taxes hypothetically. Do you just use the downpayment to help pay taxes or are there some loopholes where you don’t pay all the tax at once? Also, any idea what happens if someone builds a house on the land, then stops paying you and you have to foreclose? Wonder how sticky that gets even though pretty unlikely. Hi Patrick, that’s a great question – a good one to ask a CPA (because I’m not a tax expert). However, I can tell you that in my business, it depends on whether you can qualify yourself as a “dealer” or an “investor”. If you’re a dealer, my understanding is that you’ll have to pay all the taxes in the year the property was sold (not over time). If you’re an investor, you can pay them as the money actually comes in the door. Seriously though – don’t take my word for it, ask a tax specialist. They’ll be able to help you out MUCH more than I can. Hi Seth, On the loan servicing end. I called del toro and they told me that they only service in California, Nevada, a couple other western states. I told them I was in Ohio. They recommended, “http://www.trustfci.com/.” Haven’t called them yet, but thought I would pass it on. Hi Trevor, thanks for the heads up on this – that’s news to me. They’ve always serviced my Michigan deals with no problem… I wonder what caused them to make the change? I’ll have to look into this. Hi Seth, question, what is the site that you mentioned that you can store files? Would you mind sharing if as of Jan 2015 you are still working with Del Toro Loan Servicing. I invest in Arizona and Florida and will consider Owner financing but rather have someone else service the loan. Or if there are any other Servicing companies where you have heard positive response. Hi Sage, I’m actually not at the moment, but it’s not because I wasn’t happy with their service. My business has just taken a different direction and I’m focusing more on acquiring rental properties as my sources of passive income (rather than through seller financed properties). I still believe in the strategy though and from my experience with Del Toro, I’d still recommend them. Hello: We have a home we own free and clear. We have been completing the interior, it was not listed but I knew this fellow was interested in the property so asked if he would be interested if we owner financed. This is to our advantage because my husband built the place before we met and does not have any receipts for expenses incurred prior to us meeting and it is not our principal residence and has not been for last 5 years. So to help reduce gains .. owner financing looks like a good idea. Anyhow, I like the kid but .. due to school loans etc he does not have any money for a downpayment. Based on his income he can afford $1200 a month. The place could easily fetch $200,000 but is still unfinished. I don’t know if I am willing take the risk of 0% down but as far as the payment schedule goes … what is best for me as far as tax purposes go? Ask more and reduce the interest rate or ask less and increase the interest rate? I would think that if I offer it for less with a higher interest rate it would look really attractive BUT I wouldn’t want to do that unless I knew that I could get at least 10 years of monthly payments. From what I read I can’t disallow prepayments but can impose a penalty? Wisconsin it looks like you can penalize the first 5 years for 60 days of interest. Doesn’t sound like that much of a deterrant to me. We are at a point if someone could take it off our hands we would be so happy. Could we get more finishing it out and selling, definately but do we want to … no. If I take the risk of going 0% financing .. what are some things I should consider with the payment strategy so as to reduce my taxes and risk. I read somewhere a higher interest rate is good for buyer as he can write it off but a higher asking price and lower interest rate is better for the buyer but I don’t understand why? Any light you can shine on this would be appreciated. I realize 0% down makes for a poor note that no buyer would would want, that is fine as what we want is the monthly income. Hi Wendy, I think it depends a lot on this borrower’s character (and I’m not sure how much you do/don’t know about him). If you know he’s good for it (or even if you’re 90% sure), it probably wouldn’t be the worst thing in the world to go with 0% down… as long as you can handle the worst case scenario if/when you have to repossess it. Will you be able to weather the storm if things go sideways? I totally understand the desire for income (rather than a large cash payout), but you just need to remember that the reliability of this income will only be as good as the borrower is to their word. Personally, my business model works a bit different than your situation. I’m usually able to get 100% of my investment back with just a 10% – 20% down payment, which means all the rest of the payments are pure profit. I wouldn’t be comfortable doing 0% down unless I really knew the person and their financial situation (and I usually don’t). In terms of tax strategy (what’s best for you and/or the borrower), you’d have to talk to a CPA about that – I’m not a tax expert. Sorry! I am selling a small cabin in Alaska that I own free and clear. Some buyers have inquired about owner financing, and I am willing to consider it as an option. My real estate agent suggested having the terms similar to recreational property in-house loans (8.49% monthly interest for > 5 years with 25% down). He also suggested amortizing the loan over 10 or 15 years but having a balloon payment at the end of 5 years. What do you think? You suggested that it might depend on the buyer’s priorities. The property is fairly priced at $59,900. Hi Casey, I think your agent’s suggestions are pretty much in line with what most people would be willing do. Of course, being the lender on the property, there’s a lot of potential flexibility with what you’re willing to do – it’s just a matter of whether or not your terms will be acceptable to the buyer… but assuming your property is reasonably priced, I can’t see why these terms would create any serious problem for anyone. When seller financing, how is the loan originated, who do you use to originate the file? I mean in addition to outsourcing the mortgage servicing group who does the origination????? Hi Crystal – one way is to hire a real estate attorney (which is the most expensive option). Another way is to hire a title company and ask them to prepare the loan documents for you (some will do this, some won’t). Another way is to prepare the closing documents yourself through a service like RocketLawyer (which I would only recommend if you’re intimately familiar with what documentation is needed, what it needs to say, and how the closing process works). Great information! Hopefully in the future I can get to the point where I can start seller financing. My question off topic somewhat is, how do you handle a sale or transaction do your buyer is using a loan from a actual bank. Do you as a seller have to communicate at all with the loaning bank? How does that process work? Great information! Hopefully in the future I can get to the point where I can start seller financing. My question off topic somewhat is, how do you handle a sale or transaction do your buyer is using a loan from a actual bank. Do you as a seller have to communicate at all with the loaning bank? How does that process work?…. How in the world you buy a property at 5,000 and then sell it for 50,000, I purchased a home at 50% below market value and I have to invest about 10% of its value to have it ready to sell at full price, yes I did a lot of research/search of homes, including foreclosures and could not find a nice home at 10% the price of market value, you mentioned you can buy a home for 5k, if that is the case why would buyers buy a home from u for 50 k and not find a 5k home and buy it cash? Did you forget to mention you have to invest some money remodeling the home or you just happen to have knowledge where tu buy nice homes extremely cheap? Hi Abraham – great questions. Most of the properties I buy and sell are vacant land, which means I don’t have to spend any money on improvements, I can just buy and sell them as-is. Also, deals like this are totally within reach, but you’ll only find them if you look where 99.99% of the other real estate buyers of the world aren’t looking. One way to find these is through the delinquent tax list, which is available directly from the county. You can also use a service like this to generate a targeted list to find these types of sellers. Jay, has new regulation from Dodd Frank made owner financing a think of the past or can you get certain exceptions to do this type of financing? How can you keep a borrower from getting a equity loan from a real bank and causing me to pay off that loan in a foreclosure? 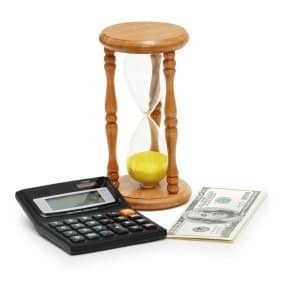 Last item can you recommend a loan servicer? Selling 500K home and buyer has 25% down. Hi Vince – you might find this article somewhat informative (though it’s specifically geared towards vacant land transactions – not homes). One thing you may want to keep in mind is that (I think – but am not 100% sure, that) some of the regulations from Dodd-Frank don’t apply IF you’re just doing a one-time seller financed deal (i.e. – if you’re not in the regular course of doing seller financing multiple times per year). If you’re just doing this as a one-off transaction for your personal residence, you may be exempt from some of the regulations. As for the loan servicing issue – I’ve worked with this company before and had a good experience with them. You could also use a service like ZimpleMoney – they make the process pretty easy and supplement many of the needs a loan servicer would. Great article. I’ve been really interested in this ever since seeing Larry Goins filthy riches business model. I do have a few questions for you however. Are there states that have better foreclosure laws then others that you would suggest to invest in? Where do you get your property so cheap at? And lastly, have you ever used a loan to purchase a property and sell it this way? I know what my situation any type of residual income would be preferable to anything else out there. And I’d even like to get into selling half the note to another investor so that I can buy more properties. Hey Joel – thanks for the comment! Yes, some states make the foreclosure process WAY easier than others (assuming you’ve included the proper language in your loan documents in the first place). The main thing you’ll want to investigate is whether your state of choice will allow lenders to do a “non-judicial foreclosure”… and it would be smart to talk with an attorney about how this works (just so you’re going into it with your eyes open). I’ve never used a loan to purchase a property this way (because I can get them so cheap, I’m able to use the cash I have on hand). I’ve used financing to buy rental properties before… but those are a different story/strategy altogether. If you want to learn the ins-and-outs of how I run my land investing business (which covers the seller financing piece in great detail), you can learn the whole process over at REtipster.Club (there’s a 12-week course where I cover everything). Great article. I would like to get more training in this area of real estate. Can you direct me to some training options please? Hey Derek – absolutely! Check out the REtipster Club, I’ve got all kinds of tutorials on how to handle seller financing. Hi Seth, would you be interested in paying off my land contract in Michigan, and doing a short term land contract on the property to me (aka the current owner)? It’s not an expensive home, worth about $110k, and I have close to $50k in equity. Hi Jan – thanks for asking! I appreciate the offer, but I don’t really get involved with seller financing as it relates to houses. I only work with it as it relates to vacant land (mainly because the rules from Dodd-Frank make it much more difficult to handle improved properties as opposed to unimproved properties). I’m sorry I can’t be of more help here! Seth, I currently have a property that I do hold title to and would like to offer it as a Lease Purchase. The house appraises at 365k and asking $349k but the problem is the school district where it is located is not rated that great so it has been a slow go. It is a beautiful property that is well maintained and I have had tons of lookers but no real bites as of yet. I want to do a 2 year term after which the buyer will arrange bank financing and I will be out of it. I am asking for a down payment of 15 – 18k with monthly payments of $2500. At the lease end I will return 8k therefore the buyer will find bank financing for $326k or so depending on what the actual downpayment will be. Does this sound like a good deal for me if I can find someone? The other problem is that people dont have that much saved for a downpayment. Are there any other work arounds for this that I could consider? Hi William, it sounds like a decent-enough idea to me, without know any other particulars behind the deal. As for the issue of people not having enough saved for a down payment – I would say that’s their problem, not yours (and it’s something most buyers will have to figure out anyway, regardless of whether they get a conventional loan or finance it through you). In my area it seems most people would want to buy land to build a home. If you seller finance, will this not cause issues if the buyer is also trying to get a loan for a home through a bank? Hi Jaret – most lenders will require that any prior lien position be eliminated from the chain of title (so they can be in the first lien position). As a result, the lender typically requires the borrower to refinance and payoff the owner holding the note, and rolling that debt into the new loan – so you would be paid off in that scenario. Alternatively, even if the lender didn’t do this, they would essentially be improving a property that you have the first lien position on… so if they ever did default, the value of your property would be even higher than when you sold it (theoretically). Yes that makes sense. I appreciate your articles. In your experience, do people buy small parcels to ensure the land that one day they will build on? Is this where seller financing would be attractive? It seems that if they are ready to build a traditional bank would initially finance the whole thing? I guess my concern is that you may lose clientele, because they aren’t able to finance the entire project, so it would deter them from buying a parcel of land. In other words, if people can’t get traditional financing and need to use the seller to do so, all they get is a piece of land until they can finance with a bank. I apologise for my inability to ask my question in a clear manner. I really appreciate your input though. Maybe this is my question…. How do you sell land to people (especially small parcels) if they can’t build yet? Or maybe the use is not typically to build a home? I have been depreciating my paid for San Francisco bay area home for over a decade. I have been reluctant to sell due to the capital gains taxes I would have to pay. If I owner finance the sale and take the money over time as mortgage payments, would I pay less in taxes instead of taking the lump sum for the sale immedialy? Hi Jeff, it’s possible – but I can’t tell you anything specific on your property (because I’m not a CPA and I don’t know much about your situation). You’d have to consult with a licensed professional to get specific tax advice on the property you’re referring to. Sorry I can’t be of more help here. Good luck! Seth, I was wondering if you have any good recommendations for websites to help support the monthly payments? Appreciate any insight you might be able to provide.